​Orgyen Khamdroling Buddhist Meditation Centre invites you to join us in the traditional study and practice of the Longchen Nyingthig -- The Heart Essence of the Vast Expanse. Under the guidance of Anyen Rinpoche, our community is committed to rooting the Dharma in the West through authentic practice, following the example of the great masters of our lineage. ​37 Rue Ste-Anne, Ste-Anne-de-Bellevue, Quebec. There's something happening every Thursday night! No matter what difficulties we face in our lives, the dharma can not only help us cope with them, it can also help us find the richness in those difficult circumstances. If we examine the body and mind carefully, we notice a connection between the breath and how we feel. The breath is not only a source of support for the physical body; it is also a support for mental, emotional and spiritual well-being. Working with the breath gives us the opportunity to find authentic happiness day and night. When we add the complement of Buddhist mind training, we have an even greater chance to find real peace of mind. 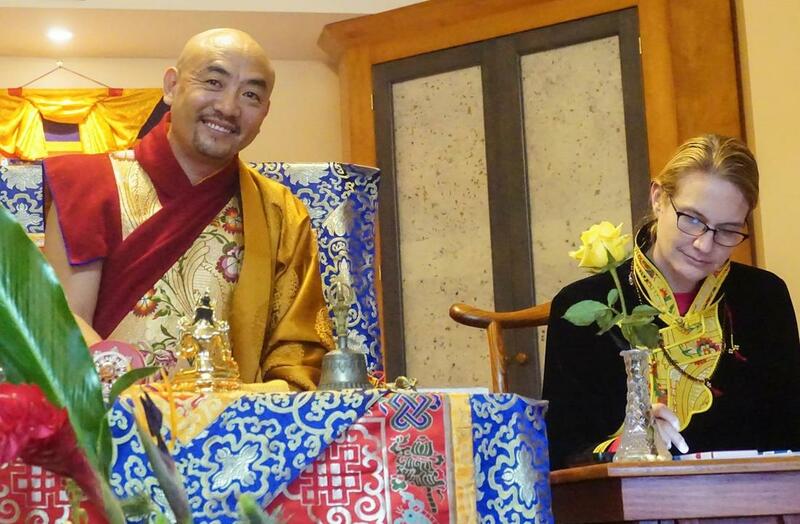 In this 5 day retreat Anyen Rinpoche & Allison Choying Zangmo will elaborate on the profound and authentic teachings & practice of Lojong (mind training) and how working with these two teachings can bring meaning and opportunity to every experience. Thursday Evenings: 7-8:15pm: Drop-in and join us for Tara mantra recitation, Medicine Buddha sadhana practice or listening to teachings on the 37 Bodhisattva Practices. If it's your first time, visiting the centre, please come a few minutes early so we can welcome you and give instructions on the practice of the evening. Monthly Tsok Offering: Bring fresh food to share, beautifully and mindfully arranged and prepared. We will read through the Tsok text for about an hour, and then share the meal together. Please label any food that contains gluten. All are welcome. Please arrive at least 15 minutes early, and plan to stay after to help with cleanup. Tsok is traditionally offered twice a month, on the tenth and twenty-fifth days of the lunar calendar, which are known as Guru Rinpoche day and Dakini day, respectively. Thus, tsok will be scheduled according to the lunar calendar and not on a regular day and time. Tara Sadhana Practice: Every 6 weeks on a Sunday, we meet for a mini-retreat to recite the Tara sadhana, do some light yoga and enjoy lunch together. 10am-3pm. Please click here for the calendar for times & dates of upcoming practices. Anyen Rinpoche is the heart son of Tsara Dharmakirti Rinpoche. Anyen Rinpoche's early days and education were in the presence of and instruction by realized masters. He was recognized as a tulku by the great Dzogchen yogi Lama Chupur at a very young age. Lama Chupur, who lived with Rinpoche's family in the same yak-wool tent, raised him and gave him all of his early instruction in the Dharma. Lama Chupur introduced seven-year-old Anyen Rinpoche to his root lama Khenchen Tsara Dharmakirti Rinpoche. After Anyen Rinpoche left his family home to live and study the Dharma at Khenchen Tsara Dharmakirti Rinpoche's shedra in Kham, Tibet, he not only gained recognition as a great scholar (khenpo), but also became a heart son of his root lama. Thus, Anyen Rinpoche became the fifth in an unbroken lineage of heart sons who received the uncommon lineage of the Longchen Nyingthig and introduction to the Dzogchen teachings directly from the renowned Dzogchen master Patrul Rinpoche. After coming to America in 2005, he began to teach extensively with the aim to root the Dharma in the West and spread the Longchen Nyingthig teachings. Allison Choying Zangmo developed an interest in the dharma during high school, and began practicing seriously in the Vipassana tradition when she was 20 years old. After a series of fortunate occurrences, she found herself in Nepal, where she met Anyen Rinpoche at the age of 24. Using only fledgling Tibetan, she began her training in the Secret Mantrayana and translation of the Tibetan language under Anyen Rinpoche’s guidance almost as soon as they met. All of her later experiences with the Secret Mantrayana tradition have been due to Anyen Rinpoche’s extreme kindness. He told her that, through his spiritual guidance, he would create an ornate crown of blessings for her to wear, and he did. Starting in 2002, she began to receive empowerments, transmissions and upadesha instructions in the Longchen Nyingthig tradition from Khenchen Tsara Dharmakirti Rinpoche, as well as others of his main students, such as Khenpo Tashi from Do Kham Shedrup Ling. 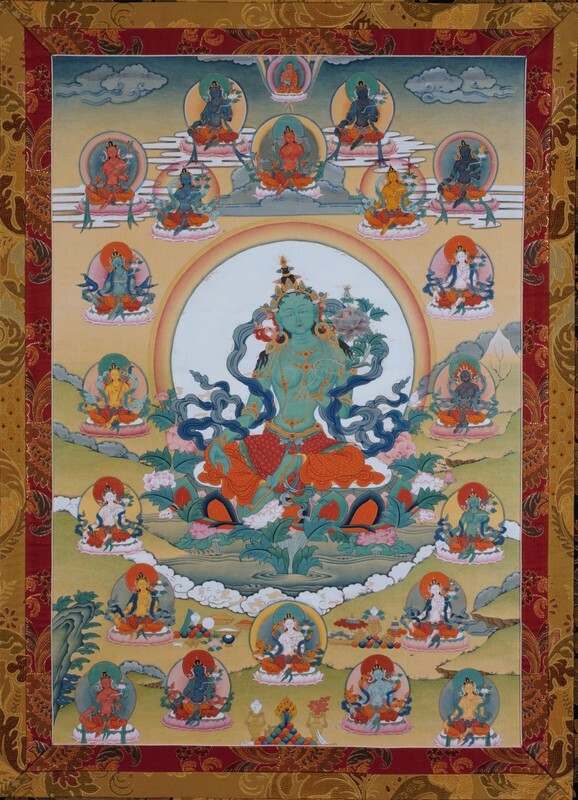 She also received an unusually direct lineage of Do Khyentse Yeshe Dorje’s chod from the realized chodpa Lama Damphel. After moving to the US with Anyen Rinpoche, she received many other empowerments, transmissions and upadesha instructions in the Secret Mantryana tradition from eminent masters such as Taklong Tsetrul Rinpoche, Padma Dunbo, Yangtang Rinpoche, Khenpo Namdrol, Denpai Wangchuk, and Tulku Rolpai Dorje. Allison Choying Zangmo works diligently for both Orgyen Khamdroling and the Phowa Foundation, as well as composing books and translations of traditional texts & sadhanas with Anyen Rinpoche, and spending a portion of each year in retreat. Although she never had any wish to teach Dharma in the west, based on encouragement by Anyen Rinpoche, Tulku Rolpai Dorje and Khenpo Tashi, she began teaching the dharma under Anyen Rinpoche's guidance in 2017.